The wild turkey was extirpated from Nebraska by about 1915. The modern history of wild turkeys in Nebraska began in 1959. 28 Merriam turkeys trapped in South Dakota and Wyoming were released in the Pine Ridge. Although Merriam’s are not native to Nebraska, the release succeeded. In only four nesting seasons the Pine Ridge population grew to about 3,000 birds. Turkeys released along the eastern Niobrara River moved into areas dominated by hardwoods. Furthermore, biologists began to consider deciduous habitat for additional releases. From 1963 to 1970, 19 additional sites were stocked. Increases occurred in most areas regardless of the habitat type. In fact, within three breeding seasons they hit peak numbers. During that period, Merriam’s turkeys along the lower Niobrara River and its feeder streams apparently crossed with game-farm stock. This resulted in a comparatively successful establishment of hybrid birds. Previous stocking programs using birds reared on game farms had failed. But the hybrid birds were successful in the hardwood forest and cropland habitat of the lower Niobrara River and its drainages. In the late 1970s and early 1980s, hybrid birds from the eastern Niobrara region were released at scattered sites. Ranging from Boyd County in northeastern Nebraska to Richardson County in the southeast. Not only along the central Platte and Loup River drainages but several sites along the Elkhorn River. Nebraska’s wild turkey range now includes most major river drainages and the Pine Ridge. Highest population densities occur in the Pine Ridge and the Niobrara River valley and in parts of the Republican River drainage. 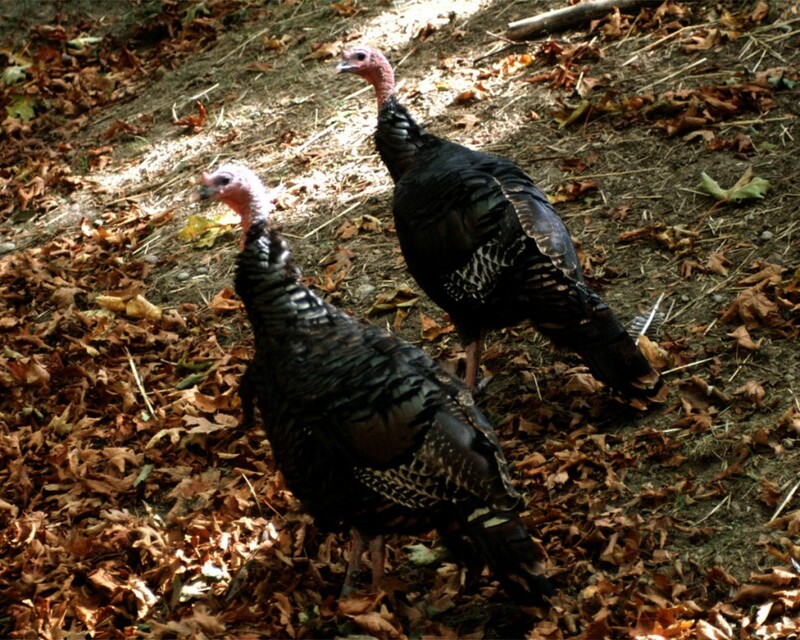 Turkeys also have adapted to many small, isolated woodlands, shelterbelts and thinly wooded stream courses. The future of Nebraska’s wild turkeys appears stable. Even worthy of cautious optimism. Habitat destruction and changing land-use patterns in prime turkey habitat could have significant effects. However, the bird’s remarkable ability to adapt and thrive should help the wild turkey meet the challenges of a new century. For more information, visit the Nebraska Game and Parks Turkey Home Page or species guide.